Oliver Hall, nom de guerre Canşêr Zagros, was killed in a blast during mine clearing operations in Raqqa on November 25. “On November 25th, 2017, Canşêr Zagros (Oliver Hall), who was involved in mine clearance work, martyred as he was trying to defuse a booby-trap” YPG said in a statement. “Comrade Canşêr Zagros, who joined the ranks of YPG from the United Kingdom during the Raqqa Campaign, actively took part in various fields. Like many other internationalist comrades who made ultimate sacrifice, Comrade Canşêr had been trying to fulfill his duties and responsibilities for months and did a great work” YPG statement read. Oliver Hall (24), from the Portsmouth area, was fighting against ISIS since August 2017. He is the fourth British fighter to have been killed in Raqqa since July. No charities, no mailshots, no directors with six figure salaries, comfy chairs, lunch accounts or company cars. 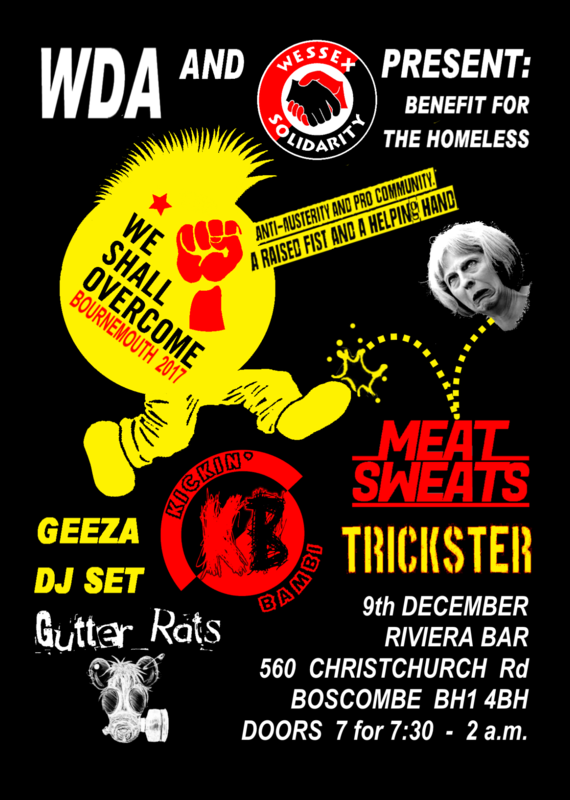 Four great local punk bands and reggae D.J. are doing what they do for free. Entry by donation. We’ve shared posts from other groups in Southend opposed to the hubris of Southend Borough Council in persisting with their ill considered proposal for a museum on the clifftop near Prittlewell Square Gardens: Wasting millions again – https://southessexstirrer.wordpress.com/2017/10/18/wasting-millions-again/ The campaign against this desecration is being stepped up a gear with a protest called by the South East Essex Green Party on Sunday 17th December. Although, this has been called by the Green Party, the event is obviously open to all who are fed up with the arrogance of Southend Borough Council in continuing to push this proposal through in the face of increasing public opposition. We’ll be along to support it… Hopefully, people power will eventually prevail and this proposal will be consigned to the dustbin of history where it belongs. 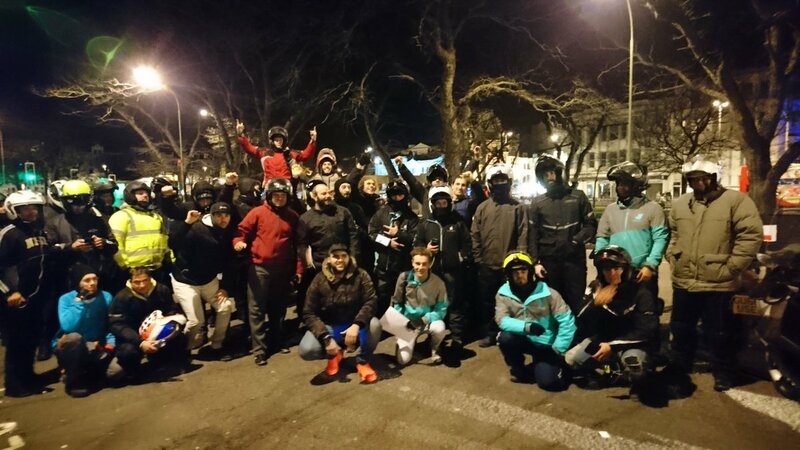 The wildcat bug seems to spreading among Deliveroo riders, at least in the South, as riders in Brighton went out on a wildcat strike on November 25th as part of a long-running dispute over Deliveroo over-recruiting riders, making it impossible for everyone to earn a living wage. Now that the Rebel Roo project has been restarted, you can help share the bulletin around the place to encourage Deliveroo riders in your area make contact with those in places like Brighton, Bristol and Leeds. 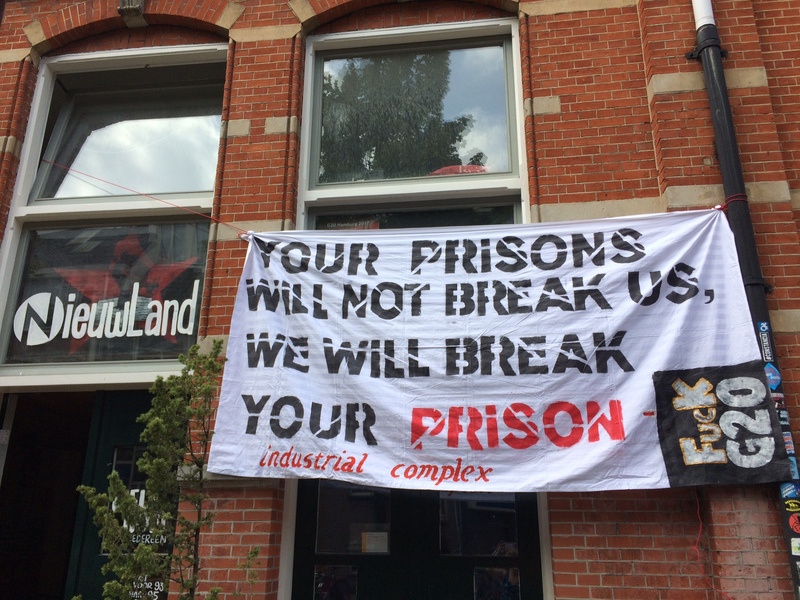 A quick update on the latest news from Hamburg: after the prosecution’s delaying attempts finally ran out, Fabio was granted bail today, and so will be out of prison until at least the end of his trial, and hopefully for much longer.